This language arts poster is one of a set of 12 posters that explain the different forms of poetry. 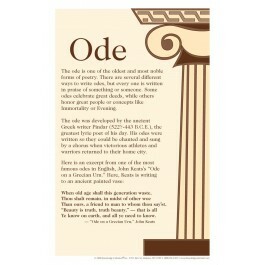 This poster explains what an ode is, along with background information about the origins of odes. 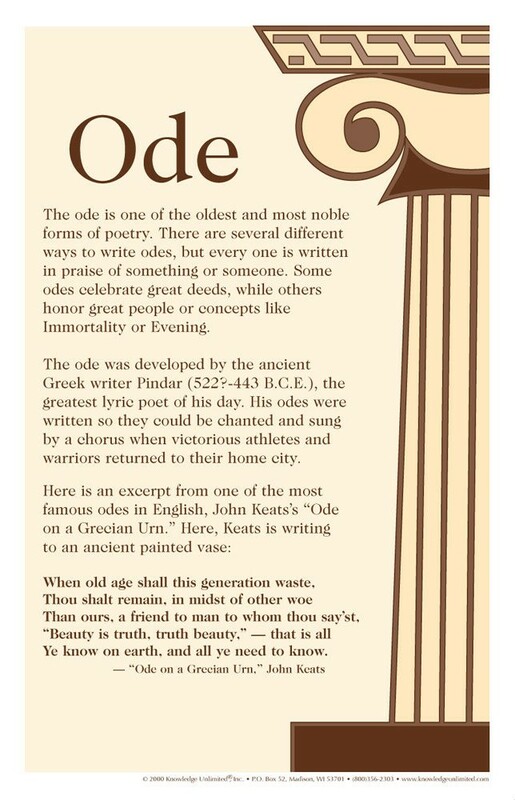 The poster features an excerpt from one of the most famous odes in the English language -- "Ode on a Grecian Urn," by John Keats.